Below you fill find all funeral homes and cemeteries in or near Watsontown. Suburbs of Watsontown: Delaware Run, Goosetown, Watsonville. 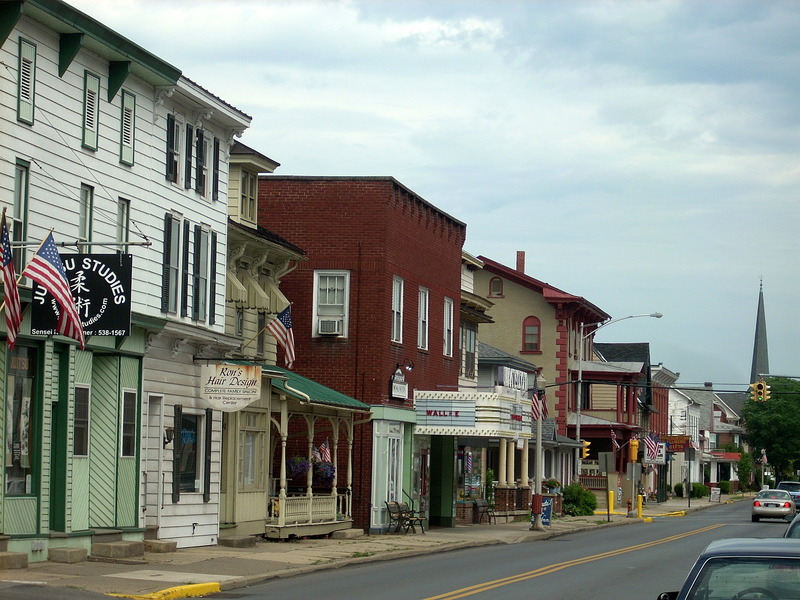 Watsontown is also known as: Northumberland County / Watsontown borough. Zip codes in the city: 17777. Some of the notable people born here have been: (bob farley). Watsontown is a borough in Northumberland County, Pennsylvania, United States. The population was 2,254 at the 2000 census. It was named for John Watson, an early settler. It was revealed by Williamsport Sun-Gazette on February 9th, 2016 that Susan Elisabeth Helsman (Helsman) died in Watsontown, Pennsylvania. Ms. Helsman was 69 years old. Send flowers to express your sympathy and honor Susan Elisabeth's life. It was written by Williamsport Sun-Gazette on February 6th, 2016 that Bernard William "Curly" Kerwell perished in Watsontown, Pennsylvania. Kerwell was 85 years old. Send flowers to share your condolences and honor Bernard William "Curly"'s life. It was reported by Williamsport Sun-Gazette on February 4th, 2016 that Russell F Jr Yordy passed on in Watsontown, Pennsylvania. Yordy was 79 years old. Send flowers to express your sorrow and honor Russell F Jr's life. It was reported by Williamsport Sun-Gazette on January 26th, 2016 that Robert G Rishel died in Watsontown, Pennsylvania. Rishel was 85 years old. Send flowers to share your condolences and honor Robert G's life. It was reported by Williamsport Sun-Gazette on January 26th, 2016 that James R Stahlnecker passed away in Watsontown, Pennsylvania. Stahlnecker was 78 years old. Send flowers to express your sorrow and honor James R's life. It was revealed by Williamsport Sun-Gazette on January 18th, 2016 that Carl William "Bup" Sampsell perished in Watsontown, Pennsylvania. Send flowers to express your sorrow and honor Carl William "Bup"'s life. It was written by Williamsport Sun-Gazette on January 16th, 2016 that James W "Chick Jim" Marshall passed on in Watsontown, Pennsylvania. Marshall was 86 years old. Send flowers to share your condolences and honor James W "Chick Jim"'s life. It was revealed by Williamsport Sun-Gazette on January 11th, 2016 that Robert L "Pork" Criswell died in Watsontown, Pennsylvania. Criswell was 72 years old. Send flowers to express your sorrow and honor Robert L "Pork"'s life. It was reported by Williamsport Sun-Gazette on November 12th, 2015 that George V Mitchell died in Watsontown, Pennsylvania. Mitchell was 68 years old. Send flowers to express your sympathy and honor George V's life. It was written by Williamsport Sun-Gazette on October 19th, 2015 that Richard E Jr Gresh passed on in Watsontown, Pennsylvania. Gresh was 59 years old. Send flowers to share your condolences and honor Richard E Jr's life. The population was 2,255 at the 2000 census. Watsontown is a borough in Northumberland County, Pennsylvania County, Pennsylvania, United States. It was named for John Watson, a local landowner. . .
Friends and relatives will be received from 11 a.m. to noon Wednesday at the Shaw Funeral Home, 400 N ... Third St., Williamsport, Pa. 17701. Katie Knoop, of Watsontown, 10 grandchildren ... Progress Ave., Suite 101 Harrisburg, PA 17110. Crouse Funeral Home is handling the arrangements. Eighth St., Lewisburg, Pa. 17837 or to RiverWoods Benevolent Care Fund, 3201 River Road, Lewisburg, Pa. 17837. Arrangements are under the care of the Cronrath-Grenoble Funeral Home, 308 Main St., Watsontown. Listing all funeral homes in Watsontown, Pennsylvania so you can easily send flowers to any location (same day delivery) or find any funeral service. We work with local florists and flower shops to offer same day delivery. You will find budget sympathy flowers in Watsontown here. Our funeral flowers are cheap in price but not in value.